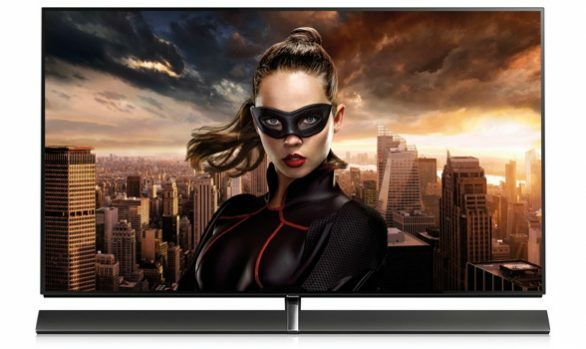 Panasonic’s FS503 range, available in 32 and 40inch the FS503 has stunning picture quality and looks sleek and stylish. The FS503 range this year is enabled for HDR for very deep blacks combined with very bright highlights to produce a very realistic image. Packed with all the built-in features you would expect from a smart TV. These include the excellent Freeview HD tuner which delivers all the major channels without subscription in standard and high quality HD definition. 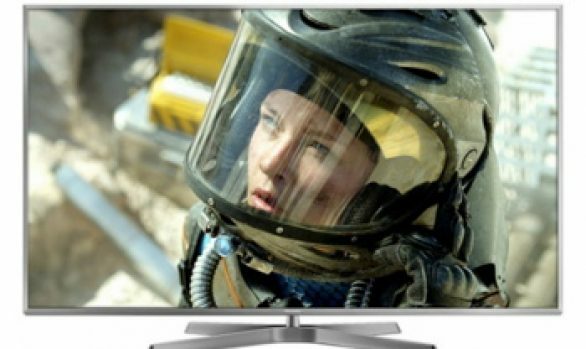 The Panasonic FS503 also has all the catch-up TV channels from BBC iPlayer, the ITV Hub, Channel 4 All4, Channel 5 Demand5 and UK Play. 32 Inch and above (FS503) also has the added advantage of a Freesat Tuner for Free To Air satellite. The 24 Inch is a FS500 and has all the smart features, without the Freesat Tuner. A really good, honest range of Televisions. The 24 Inch (FS500)with its stunning viewing angle is perfect for that room that just needs a small TV. 32 Inch and above (FS503) now has been upgraded to a HDR screen and gives the added bonus of a Freesat Tuner built in, dish Required. 40 Inch has a Full HD Screen. 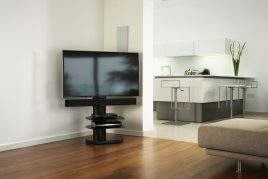 A slim bezel and a table top stand that will fit on most Television stands. The speakers on all flat screen TV’s are never the best and ideally they should be connected to a dedicated sound system. 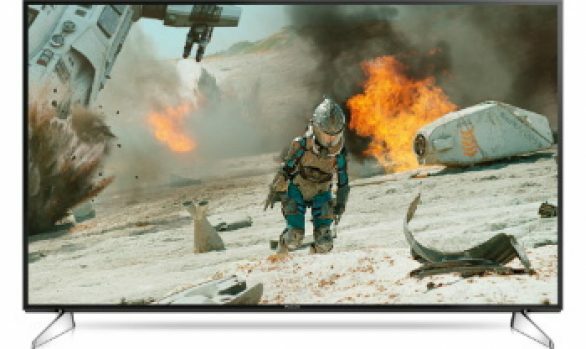 Because this TV outputs surround sound (Panasonic’s VR-Audio True Sound) it works exceptionally well with the Panasonic range of home cinema systems. Tip. 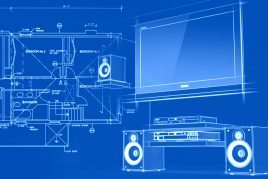 There are many types of speaker on the market to improve TV sound. Depending on your budget and need, we have surround sound theatre systems, sound bars, sound bases in-store and are happy to demonstrate and advise on the best match for you. With the new Freeview Play system built-in, the FS503 range has the full line-up of subscrition free TV ready to go out of the box. It also has all the major catch-up channels. This is a welcome feature because not all Smart TV’s come with all the channels streaming services, for example many are without the ITV and Channel 4 service. Thankfully this has all of them and the interface that guides you through the connection process is easy to use. The 24 Inch version is a FS500 (No Freesat on this 24Inch model). 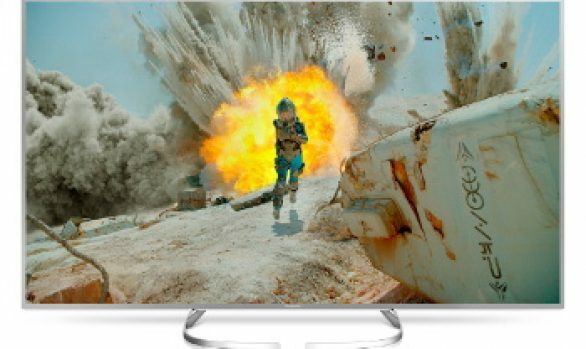 The FS503 range is a very good TV and a worthy investment. It delivers with all the features you will need from the latest Smart Digital HDTV.